Is a top-15 private research university offering a full-range of undergraduate, graduate and professional degrees. Is situated on a 333-acre campus near the thriving city center of Nashville, TN. Serves over 12,000 students and directly employs almost 8,500 faculty and staff. Is contiguously located and operates in close partnership with Vanderbilt University Medical Center (VUMC) through a combined internal power grid with the University. Vanderbilt University operates an on-site, natural gas fueled cogeneration power plant that meets the steam and chilled water needs of the University and Medical Center and approximately 21% of the electrical need. The remaining 79% electrical need is purchased from the Tennessee Valley Authority through Nashville Electric Service (NES). Vanderbilt emits Greenhouse Gases (GHGs) through these two processes as well as university fleet vehicle use, refrigerant releases, faculty and staff commuting to work, air travel paid for by the University, and waste disposal and recycling. Vanderbilt University embarked on a new journey as an independent legal entity from VUMC on May 1, 2016. The University is now smaller in both number of people and square feet, and, therefore, so is our 2016 Greenhouse Gas inventory in comparison to our previous inventories (2005-2015). Because of the significant shift, the 2005-2015 GHG data will be archived, and 2016 will be the first year baseline for future trending data for the University only. This sustainability report presents the University’s current carbon footprint as accurately as possible and highlights other key sustainability gains in calendar year 2016. This report is developed by the Vanderbilt Sustainability and Environmental Management Office (SEMO). Any questions should be directed to sustainvu@vanderbilt.edu. 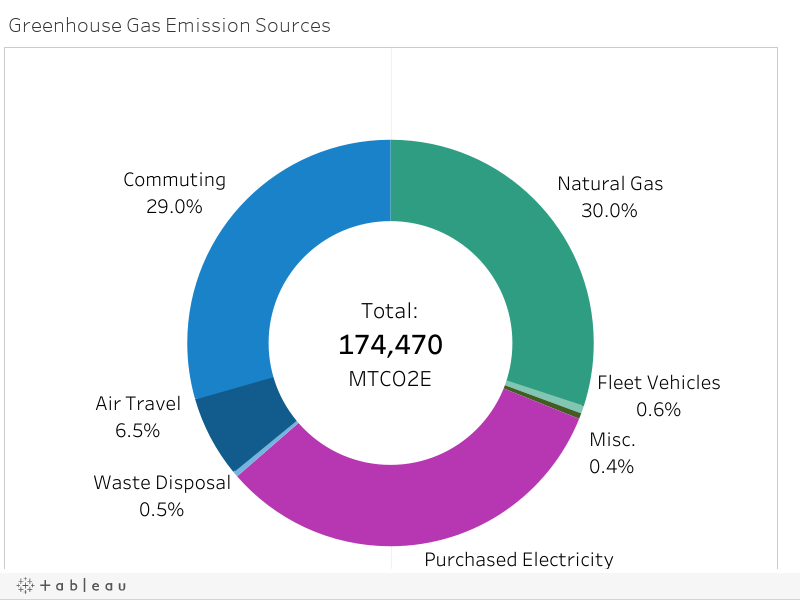 Vanderbilt reports greenhouse gas (GHG) emissions across all major sources. Scope 1: The most significant source of Scope 1 emissions is natural gas use at the on-campus power plant and in individual buildings. Additional Scope 1 emissions include fleet vehicles, diesel use at the power plant, emergency generators, anesthetic gas use, and refrigerant releases. Scope 2: Scope 2 emissions are entirely purchased electricity from Nashville Electric Service (NES). Scope 3: Scope 3 emissions at Vanderbilt include faculty, staff, and student commuting, air travel, and waste disposal. 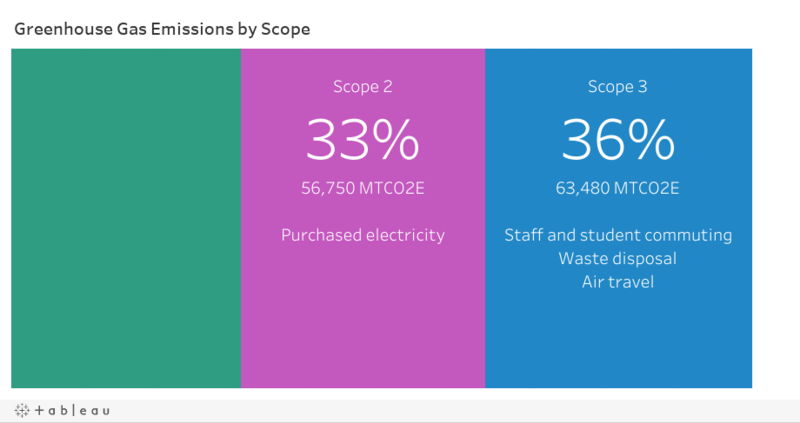 More information related to Scope 1 and 2 emissions can be found in the Energy section of this report. Details related to Scope 3 emissions can be found in the Transportation and Waste sections of this report. Vanderbilt University emitted 174,470 metric tons of carbon dioxide equivalents (MTCO2E) in 2016. These greenhouse gas emissions were split relatively equally between Scopes 1, 2, and 3 at 31%, 33%, and 36%, respectively. Scope 1 emissions are direct emissions from sources that are controlled by Vanderbilt, such as combustion of natural gas in the on-campus power plant. Scope 2 emissions are indirect emissions from purchased electricity. Scope 3 emissions are not directly controlled by Vanderbilt but are associated with Vanderbilt, such as employee commuting, air travel, and waste disposal. Because Vanderbilt’s emissions profile is split equally between Scopes 1, 2, and 3, the University attempts to diversify our efforts to reduce emissions across all three Scopes. Sustainability is a key theme of the FutureVU Guiding Principles for land use planning. 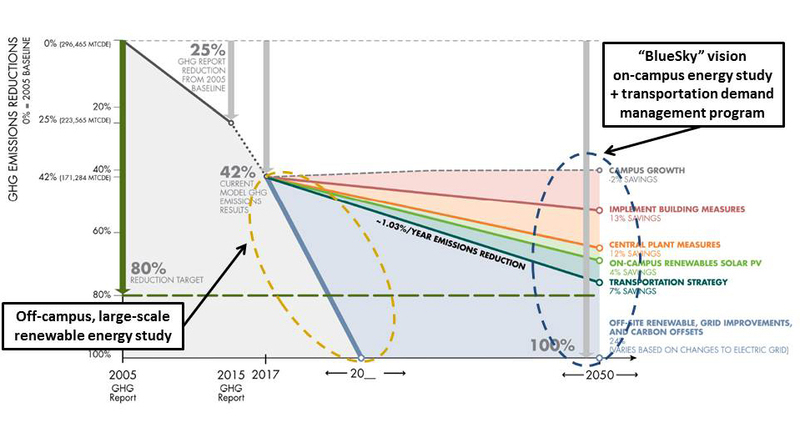 As part of FutureVU, Atelier Ten, an external consulting group, prepared a GHG emissions forecast, which outlined potential targets and scenarios for the University to reach significant reductions in GHG emissions by 2050. Vanderbilt has launched two comprehensive operational studies to further expand on the reduction recommendations and aid in the development of solutions that result in a significant reduction in the University’s environmental impact. These studies include a large-scale Renewable Energy Study and a BlueSky Vision Energy Strategy Study. The large-scale Renewable Energy Study evaluates the potential for Vanderbilt to use renewable energy as part of its power portfolio. This study kicked off in September 2017 with the formation of an advisory committee and will result in a recommended strategy by February 2018. The BlueSky Vision Energy Strategy Study began in November 2017 with the formation of an advisory committee. This study will identify major potential opportunities to reduce Vanderbilt’s carbon footprint and improve central campus land use within the University’s on-campus energy production, distribution and consumption infrastructure and behavior. It will culminate in a “BlueSky Vision” for campus energy in 2018. 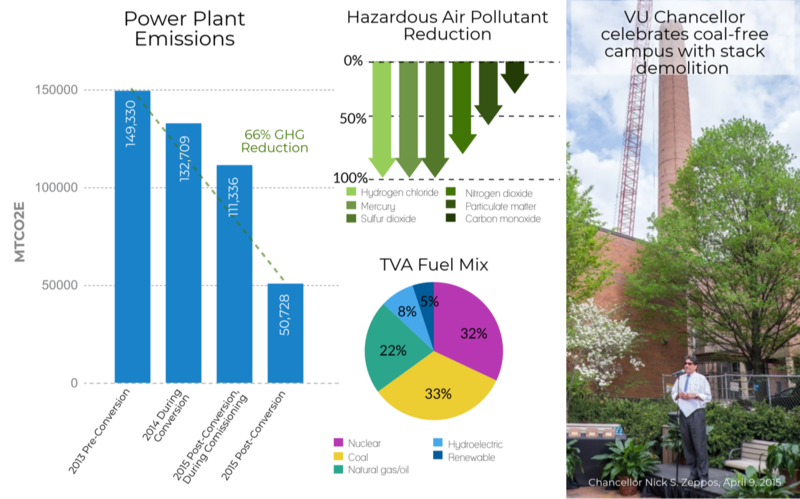 Vanderbilt’s on-campus Combined Heat and Power (CHP) plant produces 21% percent of the electricity, all of the steam, and 40% of the chilled water consumed by the Vanderbilt community. This plant uses primarily natural gas, with diesel as backup emergency fuel, to produce electricity, steam, and chilled water. In November 2014, the conversion of the power plant from coal to natural gas was completed. The conversion increased operational efficiency while also contributing significant environmental benefits such as reductions in both greenhouse gases and other hazardous air pollutants, such as mercury. The remaining 79% of electricity needed to power Vanderbilt’s campus is purchased from the Tennessee Valley Authority (TVA) through Nashville Electric Service (NES). Greenhouse gas emissions normalized on a square foot basis have dropped more than 35% since 2008 due to a combination of ongoing energy efficiency improvements of existing buildings by VU Plant Operations and green building techniques employed in new construction by Campus Planning and Construction. These building practices are described in the Sustainable Building section below. 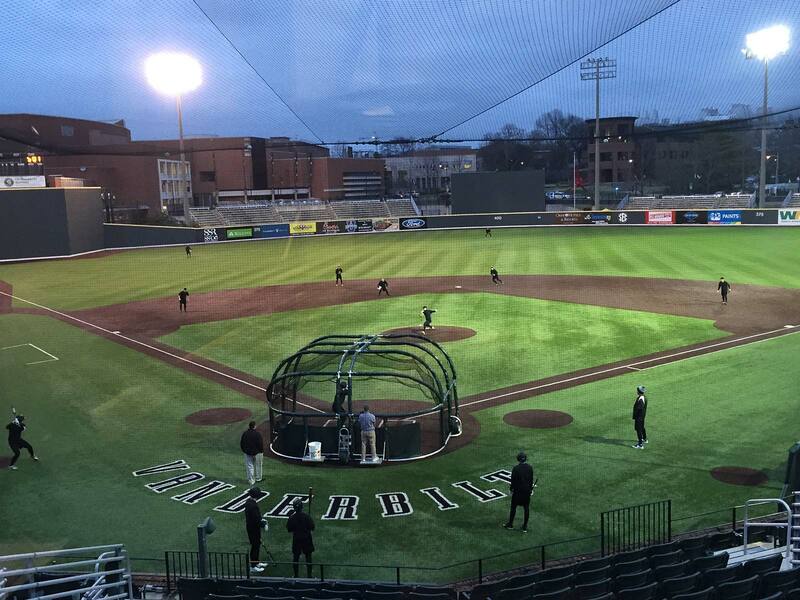 For example, High-Intensity Discharge (HID) fixtures on Hawkins Field, home of the 2014 Vanderbilt national champion baseball team, were replaced with fewer Light-Emitting Diode (LED) fixtures. All 152 HID fixtures were replaced with 98 LED fixtures, improving light quality on the field while reducing the energy used by 60%. LED fixtures have the advantages of lower energy use, longer lifespan requiring less maintenance, and no warm-up time needed to turn on. Vanderbilt’s ThinkOne energy conservation educational program encourages energy conservation through changing behaviors and was developed in collaboration with the Department of Psychology and the Center for Evaluation and Program Improvement. This program seeks to reduce energy consumption at Vanderbilt by 10% through behavioral change alone. A collaborative project with the Sustainability and Environmental Management Office (SEMO), Vanderbilt Law School, and Owen Graduate School of Management is researching fume hood use in laboratories on campus to determine what behavioral interventions produce the most energy-saving behaviors in the lab. SEMO also collaborates with the Dean of the Commons each year on the annual Commons Unplugged energy competition and educational event, which encourages residential college energy conservation. Vanderbilt has a long history of building with sustainable and green features, which helps our buildings be more efficient and last longer. The U.S. Green Building Council’s Leadership in Energy and Environmental Design (LEED) Green Building Rating System is the nationally accepted benchmark for the design, construction, and operation of high-performance sustainable buildings. 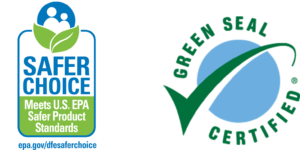 This third party certification is recognized as proof that a building is environmentally responsible. LEED projects earn points across nine basic categories: integrative process, location and transportation, sustainable sites, water efficiency, energy and atmosphere, materials and resources, indoor environmental quality, innovation, and regional priority. 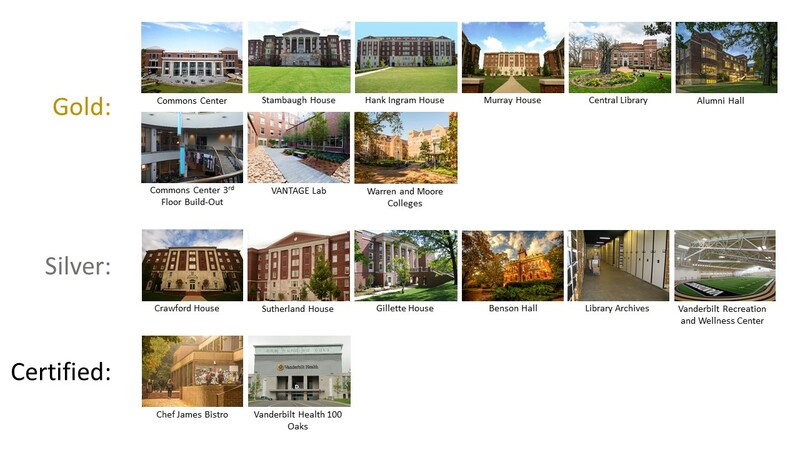 Vanderbilt University has a total of 17 LEED certified projects and was the first university in Tennessee to earn LEED certification. 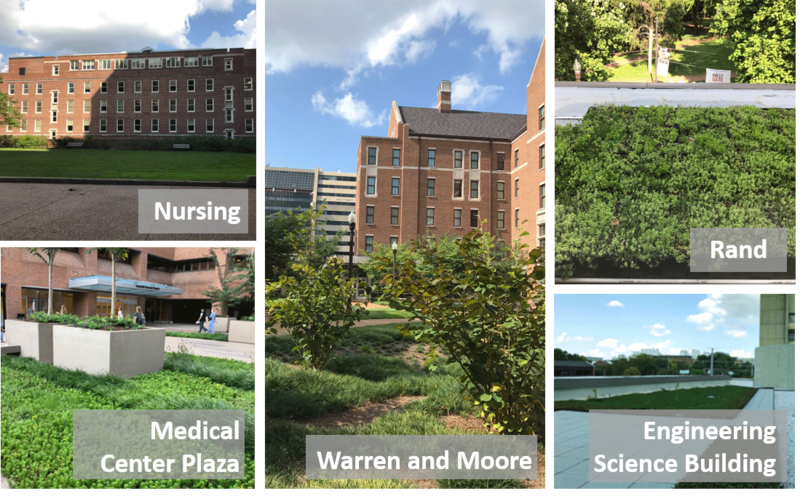 Vanderbilt has five green roofs across campus, which provide multiple benefits including reduced energy use in buildings, reduced urban heat island effect, improved stormwater management, increased roof longevity, and improved aesthetics. Many of the green roofs at Vanderbilt are “hidden in plain sight” and act as plazas or lawns. The newest green roof was installed on Rand Hall through a student-initiated Vanderbilt Green Fund project. A view of the installation can be seen here. Looking forward, Vanderbilt will explore other certifications for sustainable buildings in addition to LEED. The School of Nursing building expansion is Vanderbilt’s first WELL certification pilot, in addition to pursuing LEED Gold. 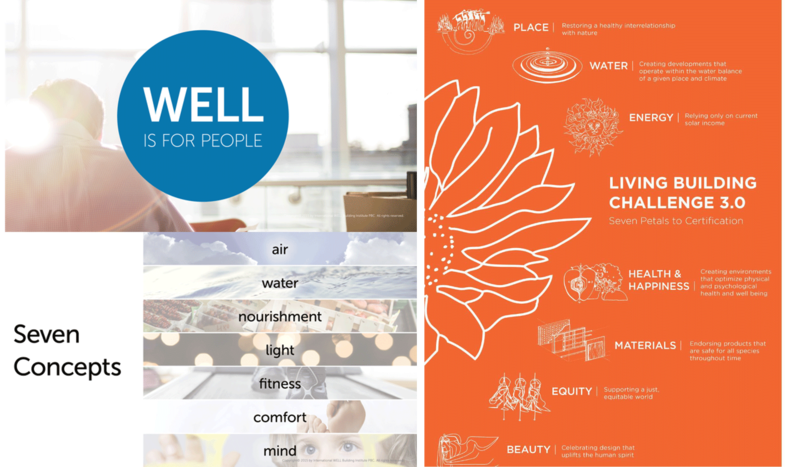 WELL certification serves as a credible label for a building’s effect on occupants’ health and well-being. Vanderbilt is also exploring the Living Building Challenge certification, which certifies buildings that are regenerative and positively impact the environment. Issues of mobility and transportation are paramount to the sustainable future of Vanderbilt University, especially within the context of the unprecedented growth happening in our city. One hundred twenty people move to Nashville every day, significantly increasing traffic on our roads. Additionally, a recent analysis of staff income versus distance from campus indicated that VU staff in the lowest pay bracket live the furthest from campus, exacerbating the mobility situation further. 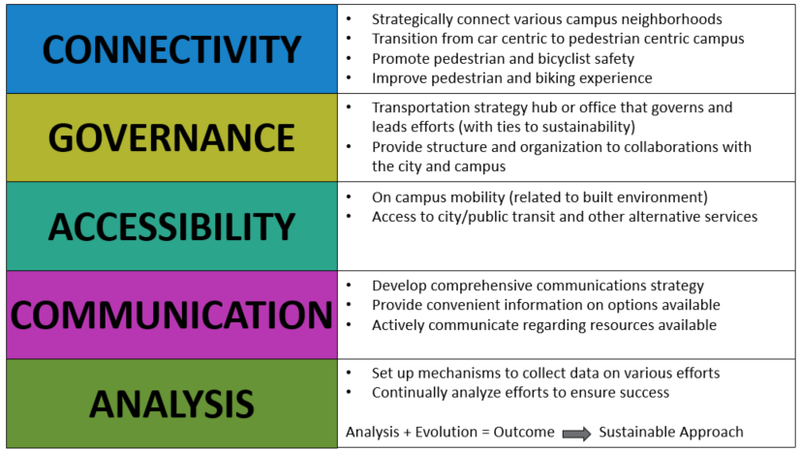 In close alignment with the FutureVU Guiding Principles, VU’s new land use plan calls for diversification of transportation options, prioritization of pedestrian and bicycle mobility, mass transit, and improved accessibility. Foundational principles also include regular evaluation of how traffic interacts within and around the campus boundaries, and reducing rather than adding to the number of roadways. Vanderbilt also aims to enhance connectivity by integrating pedestrian and bicycle circulation, providing mobility paths that integrate with campus landscape and architecture, reducing vehicular through-campus traffic, relocating existing parking to the perimeter of campus, and promoting safety on campus. Vanderbilt is a major employer in Nashville. The university consists of more than 8,500 faculty and staff, is home to nearly 7,000 undergraduate students, and is the place of study for an additional 5,600 graduate and professional students. Combined, Vanderbilt’s commuting population is 12,325, which contributes 51,327 MTCO2E to the University’s carbon footprint, or 82% of transportation emissions. 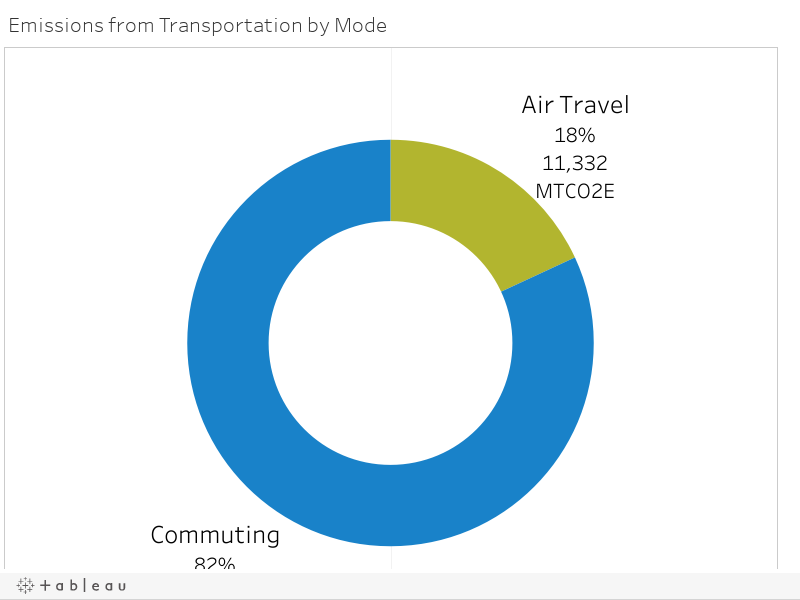 Air travel for faculty and staff accounts for another 11,332 MTCO2E, or 18% of transportation emissions. For Vanderbilt’s efforts to offer alternative transportation programs for employees and students, the University received the 2016 Sustainable Transportation Award presented jointly by the Tennessee Department of Environment and Conservation (TDEC) and the Tennessee Department of Transportation (TDOT). The Sustainable Transportation Awards recognize outstanding initiatives within the State of Tennessee to reduce transportation-related energy usage and emissions, in line with an overarching effort to save natural resources, improve the health and well-being of Tennesseans, and create efficiencies in the delivery of goods and services. Vanderbilt has a 20-year history of recycling efforts to reduce waste going to landfills. In addition to traditional recycling programs for materials such as paper, plastic, cardboard, and glass, Vanderbilt has recycling programs for non-traditional materials like toner cartridges, batteries, light bulbs, scrap metal, and electronics. Additionally, the new ReUse program was started in 2016 that sustainably manages unneeded furniture and equipment owned by Vanderbilt University departments and laboratories. These efforts are creating major environmental impacts. Recycling between 2007 and 2016 increased 15-fold from 250,000 pounds to 3,900,000 pounds, and the diversion rate for the University grew to 62% in 2016, an all-time high. 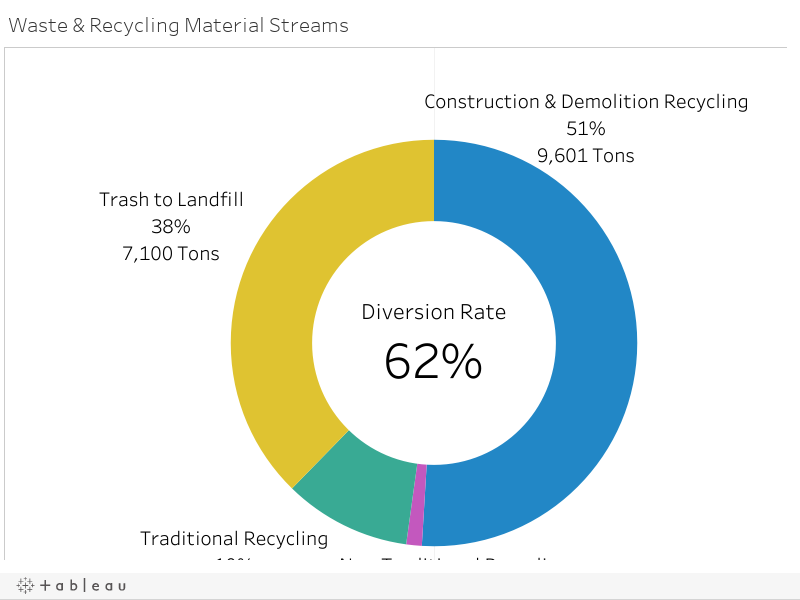 In 2016, Vanderbilt University generated 7,100 tons of waste and 2,140 tons of recycling, not including construction and demolition recycling. 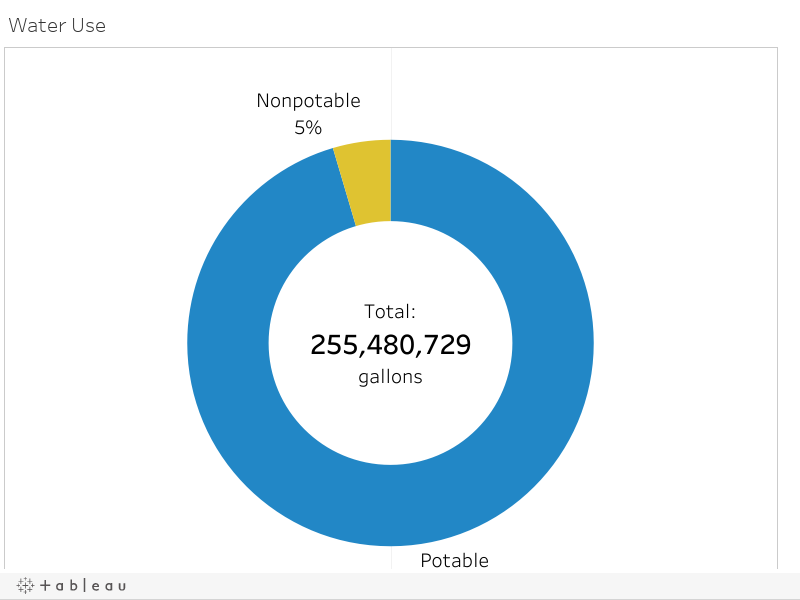 Waste disposal accounts for 821 MTCO2E from Vanderbilt or about 0.5% of our total emissions. Vanderbilt’s 2,140 tons of recycling are broken down into specific streams below. Waste that is generated at Vanderbilt is sent to landfill. With landfill gas capture technology, 63% of the landfill gas (methane) produced is reused to generate electricity. Water conservation not only reduces the amount of water used but also reduces the energy needed to treat, pump, and deliver water throughout campus. 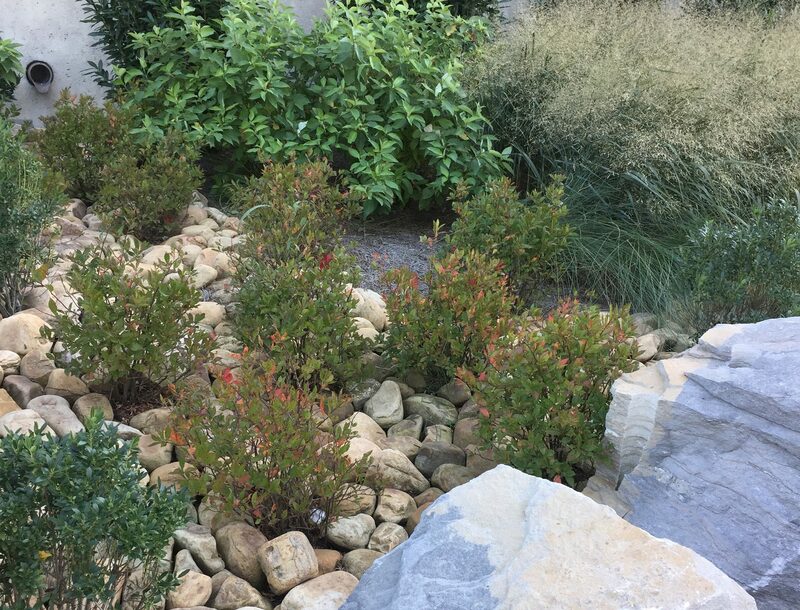 Water conservation also reduces environmental pressures on our watersheds. 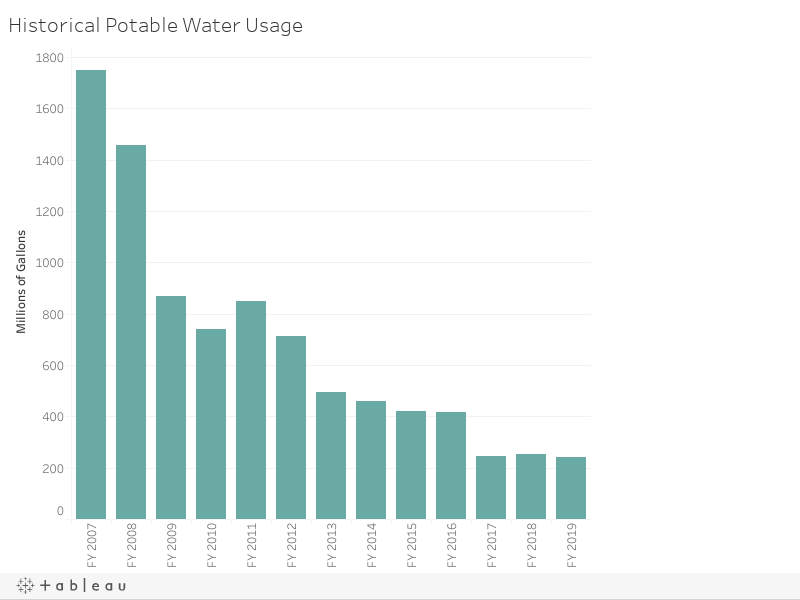 Vanderbilt has made great strides in reducing water use on campus by instituting groundwater and stormwater reuse and installing 3,500 water conserving fixtures across campus. These efforts have made a massive impact on the university’s water usage. In 2006-2007, Vanderbilt used over 1.5 billion gallons of water. In 2010, Vanderbilt shrunk usage to 742 million gallons and then to 255 million gallons in 2016-2017, an 82% reduction in 10 years. Vanderbilt has taken significant steps to reduce our potable (safe to drink) water usage. Since 2007, Plant Operations has retrofitted 3,500 bathroom fixtures on campus in an effort to make them more water efficient. These efforts include low flow and no touch faucets, low flow and dual flush toilets, high-efficiency showerheads and water free urinals. In 2016, the football stadium was upgraded with 74 ultra low-flow urinals. One of Vanderbilt’s most significant efforts to conserve potable water is the collection of non-potable water from underground utility tunnels, which is used to irrigate sports fields and lawns on campus. In addition, air conditioning condensation collection systems are now in the Commons Center and two of the Medical Research Buildings. The Rainbird IQ irrigation system allows for on-demand, efficient water use. Stormwater management practices are also in place across campus. The new Engineering Science Building has a cistern that collects stormwater from the roof for irrigation and includes a landscape with bioswales and a green roof to retain stormwater on site. VU was recently awarded membership in the Menus of Change University Research Collaborative (MCURC). MCURC is a working group of leading scholars, foodservice business leaders, and executive chefs from invited universities who are accelerating efforts to move Americans toward healthier, more sustainable, plant-forward diets. 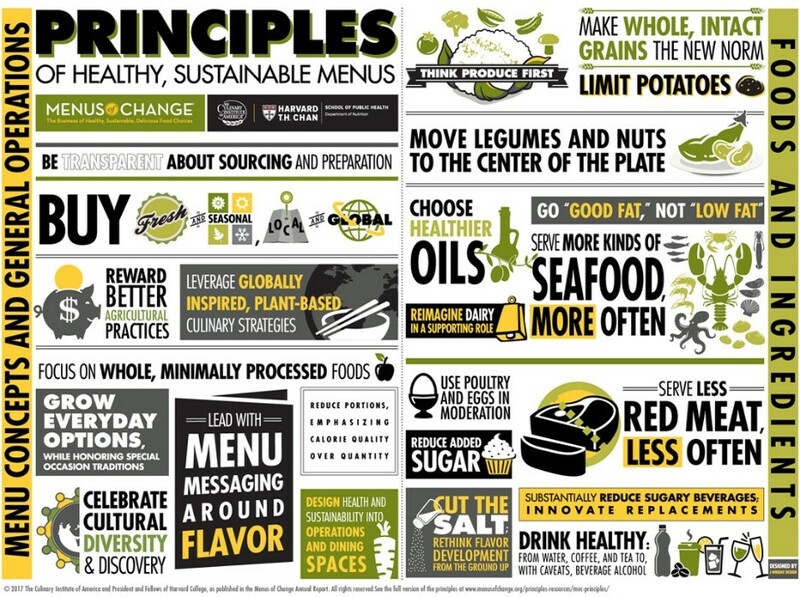 At the core of Menus of Change are the 24 Menus of Change Principles of Healthy, Sustainable Menus. 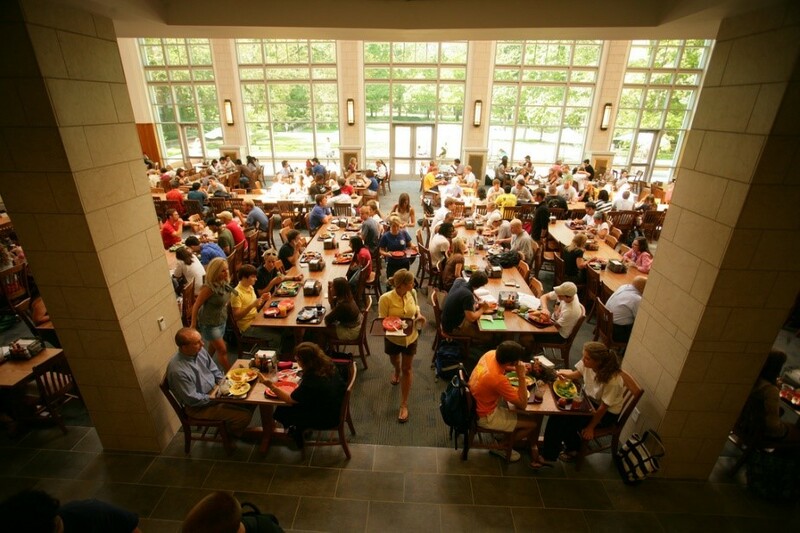 This initiative leverages the unique position of universities to advance these types of life-long food choices among students by connecting a diversity of insights from academic programs, dining services, and athletics. Vanderbilt’s main dining facility, Rand Hall, uses an Organic Refuse Conversion Alternative (ORCA) aerobic digester to transform all back-of-house food waste into water. 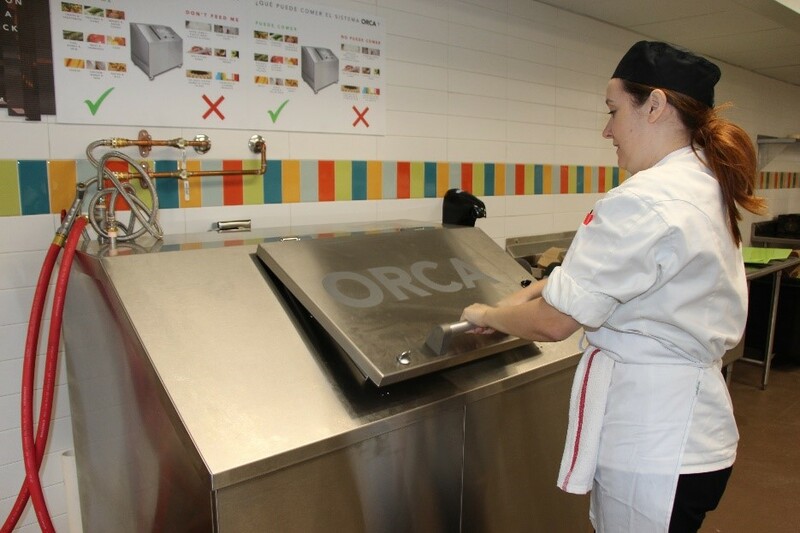 The ORCA offers a method to digest food waste on-site and convert it to nutrient-rich water within a 24- hour period. This generates big waste savings: The Environmental Protection Agency estimates that food waste makes up 15% of the overall trash disposed of annually nationwide in landfills. The ORCA not only eliminates landfilling but also reduces the potential for pests around dumpsters and the emissions generated from trucking food waste to landfills. VU Campus Dining is committed to providing the best tasting, most nutritious, diverse and sustainable menus. VU Campus Dining prioritizes sustainable facilities including energy efficiency and reducing food waste. To redirect food waste from the landfill, Vanderbilt introduced a pilot food waste collection program on campus, with the food waste composted at an off-site facility. Vanderbilt’s Eat the World, Save the Earth program offers students and the Vanderbilt community easy access reference guides and identification icons for specific choices: organic, vegetarian, vegan, and local. The program includes seasonal menus, an online nutrition calculator, an on-staff registered dietician, and healthy menu options for all dietary needs. 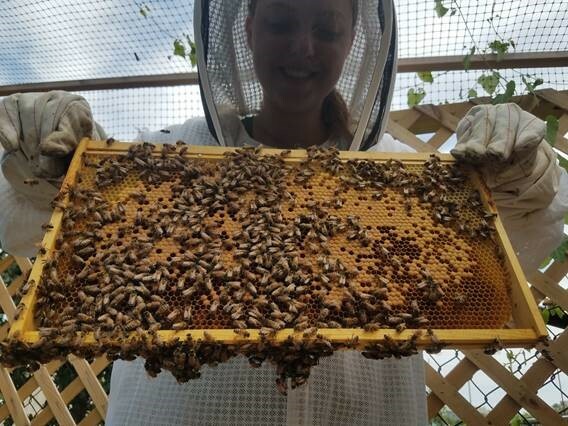 Vanderbilt has an on-campus community garden and apiary that serves many functions, including food production, education, and community building. Students tend to the garden and beehives, and residents in surrounding neighborhoods are welcome to reserve small plots. The garden is managed sustainably without pesticides, herbicides, or petroleum-based fertilizers. Food grown in the Vanderbilt community garden is donated to organizations that support Nashville’s marginalized populations and also is enjoyed by the students and community members who grow it. The apiary was established through the Vanderbilt Green Fund with three beehives – two traditional Kentucky Specials and one experimental flow hive. See a video from the day the bees were introduced to their new hives. If two products are competitive in performance characteristics and pricing, the University will favor the environmentally preferable product or supplier. For example, Vanderbilt’s Purchasing and Payment Services has worked closely with the University’s preferred office products, janitorial products, and laboratory products suppliers to provide more easily identified environmentally preferable product selections. These products are readily identifiable in eProcurement by a special symbol. Purchasing and Payment Services partners with suppliers that are committed to sustainability practices and offer the Vanderbilt community products like FSC recycled paper, remanufactured toner cartridges, and EnergyStar or EPEAT electronics. The Sustainable Purchasing Policy will enable Vanderbilt to plan its future growth in balance with economic, environmental, and socially responsible values. The Vanderbilt CampusPrint initiative is a multi-phase project to switch to energy efficient printers, reduce the amount of printing, and use more sustainable paper. In Phases 1 and 2 of CampusPrint, 152 desktop printers/faxes were eliminated, reducing the overall printing across campus by 32%. Multi-function devices replaced any remaining printers that were still necessary. This reduction in units saved nearly 70,000 kWh annually, which is enough to power five homes in Nashville. The EPA estimates that one page printed using a personal desktop printer costs up to 14 times as much as one page printed using a multi-function unit. Additionally, each ton of office paper consumes 12,000 gallons of water, 24 trees, 98 tons of various materials, and 11,000 kWh to produce, creating one ton of solid waste and 15,000 gallons of waste water in the process. The average US office worker prints 10,000 pages per year! Many green paper/printing options are available to the Vanderbilt community, including post-consumer waste recycled-content papers, papers certified by the Forest Stewardship Council (FSC), vegetable-based inks, papers processed without chlorine, and products made with renewable energy. In collaboration with SEMO, VU Printing Services achieved Forest Stewardship Certification as an environmentally sustainable printer, and all CampusPrint paper is FSC certified. 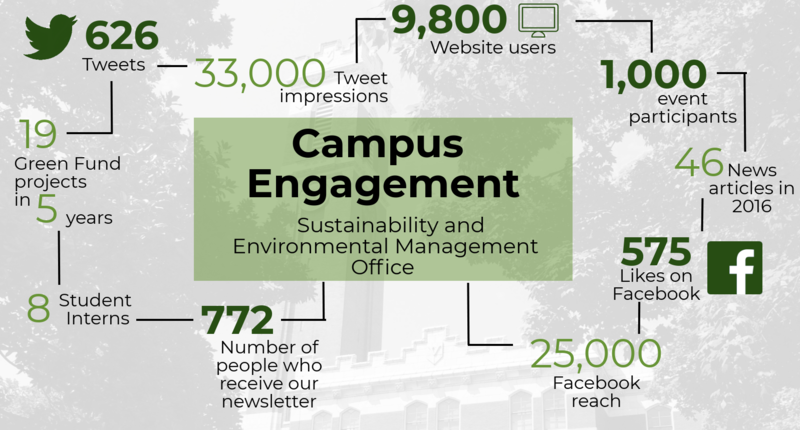 Campus engagement is a key component of the sustainability program at Vanderbilt. Below is a visual summary of our education and outreach across campus. The Vanderbilt Green Fund (VGF) provides funding specifically to projects that are student-initiated and reduce the greenhouse gas emissions or improve the overall sustainability of the Vanderbilt University campus. VGF enables students, faculty, and administration to directly engage in the process of transitioning to a clean and sustainable energy future. Any student, faculty, or group associated with Vanderbilt University can propose a project for consideration. The Office of Housing and Residential Education and Plant Operations make a combined annual input of $150,000 to the VGF. Green Fund proposals are first evaluated by a student committee that is organized jointly by VSG and SPEAR. Top proposals are recommended by the student committee to the Green Fund Working Group, which makes the final funding decisions. The Working Group is comprised of six administrators, six students, and one faculty member. To propose a project to VGF, complete this application. 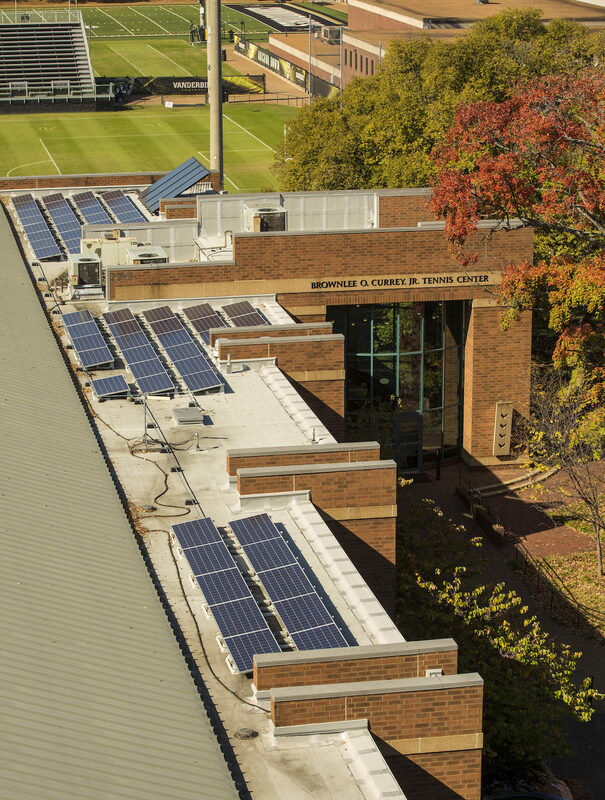 The Vanderbilt 2015 national champion women’s tennis team players and coach proposed a 20-kilowatt solar photovoltaic (PV) system combined with a 120-gallon solar hot water system to VGF in 2015. This project was awarded funding, and both systems were installed on the roof of the Currey Tennis Center in 2016. The solar PV system has produced a 15% reduction in electricity use in the building since installation. An online dashboard* shows real-time energy production of the solar panels. The solar hot water system also has made a significant impact on the building’s energy use by reducing natural gas use by 40% since installation. *use SustainVU@vanderbilt.edu and VU*Tennis to log in. 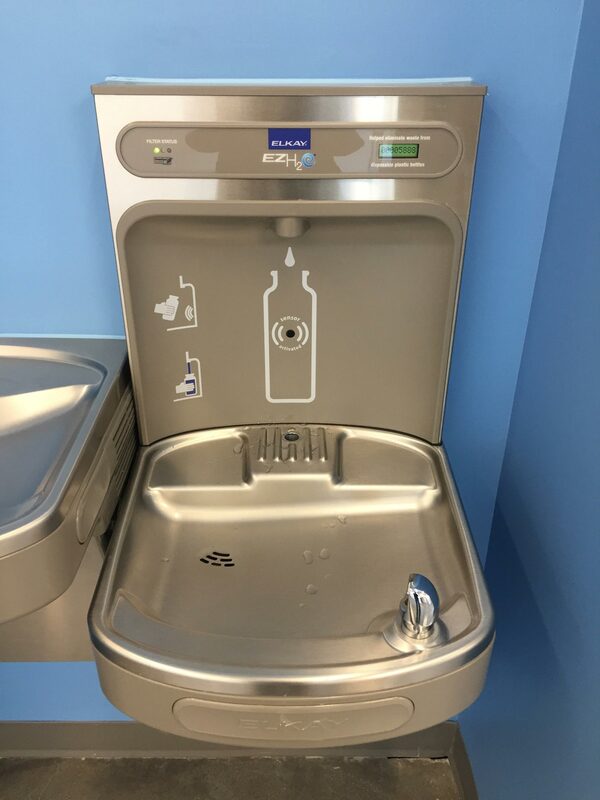 Coverage of campus-wide hydration stations, or rapid water bottle fillers, has been funded through the Green Fund in multiple funding cycles. Vanderbilt now offers 97 hydration stations across campus, thanks to the Green Fund and other campus operational groups. These hydration stations allow members of the university community to refill their reusable water bottles quickly, reducing the number of disposable plastic water bottles used by the thousands each year. Vanderbilt is committed to the highest standards of transparency and sustainability through a process of environmental responsibility and accountability at every level of the University. With regards to climate change, this commitment translates to actions aimed at reducing greenhouse gas (GHG) emissions at the university, departmental, and individual level. The completion of a university-wide GHG emissions inventory has occurred annually since the first publication in 2005. 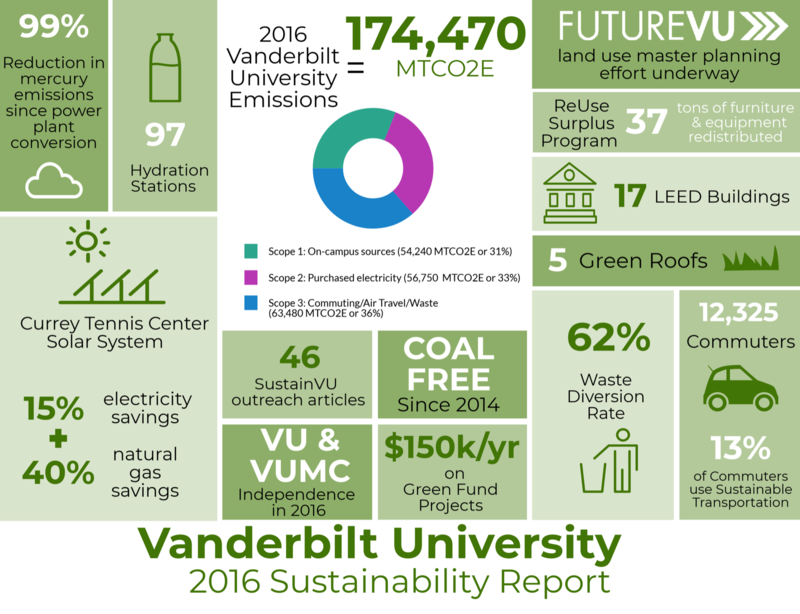 These reports provide many key data points, past trends and successes of Vanderbilt University and our efforts to curb greenhouse gas emissions and operations. The listing to the right provides downloadable files of our past greenhouse gas inventories and reports. 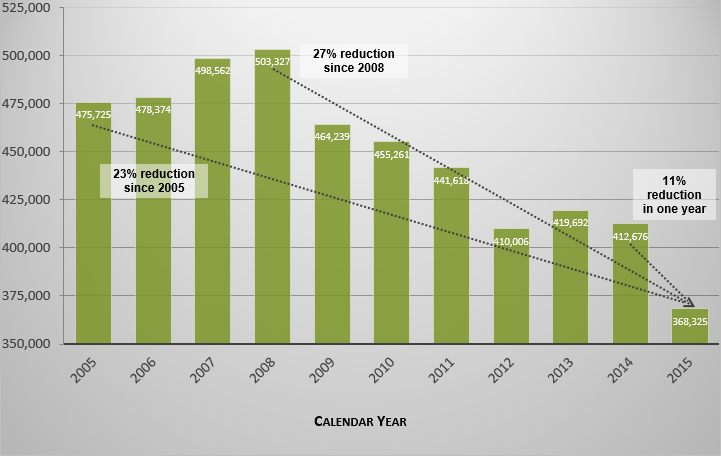 From 2008 to 2015, Vanderbilt University, including Vanderbilt University Medical Center, reduced our overall greenhouse gas emissions by 27%, as illustrated below. In 2016, the University separated from the Medical Center, resulting in changes to our boundaries, operations, and size of population necessitating a new baseline to be established by 2016. SEMO wishes to thank our outstanding student interns, without whom this report would not exist: Charles Doktycz, David Greaves, Andrew Harwell, Alejah Love, Kyra Owensby, Maria Swebilius, Carson Thomas, and Lindsay Williams.